Doha has recently seen a surge in new hotel openings. Almost all international and national hotel brands are investing big to make the most of the boost that Doha hospitality industry has seen in recent years. Retaj Hotels has decided not to hold back when others are making merry. In this post, we have discussed all about Retaj Hotels and about its new hotel in Doha. Retaj Hotels & Hospitality has opened a new Doha hotel – Retaj Inn Msheireb. The 110 guest room and Suites Hotel will ensure guests who stay at the hotel have all comforts – amenities and facilities – of home living. Two other hotels of the same group are already open and successful in Doha. The hotel opened in 2017 and is running successfully for over 2 years now. There are a lot of new hotel openings happening in Doha this year and the trend is set to continue for the coming few years. This Hotel and hospitality firm is no new name in the Middle East region. Based on Arabic tradition, it is a well know real estate and hospitality firm in Gulf countries. Retaj Hotels has established itself to become a formidable force to reckon with in the hotel and hospitality industry across the globe. That in itself isn’t surprising at all. The Qatari hospitality industry has gone down that road many times before. And it’s for that reason that the Retaj Hotels have become darlings of the Muslim travellers across the world. Nonetheless, don’t let the religious branding set you off, legacy hotels under Retaj Hotels name-brand boast some of the most luxurious, comfortable, and lavish amenities and lush gardens. Most of them feature large rooms with marble bathrooms, exquisite linen, Arabian-esque drapes, and sizzling architecture that blends modern and classic Arabian styles. Saeed bin Zayed Al Khayarin for Retaj Al Rayyan Hotel and Dr. Mohammed bin Johar Al Mohammad, Retaj Group’s vice chairman and managing director, came to an agreement and signed the contract. Al Khayarin said he was happy with the collaboration taking part, saying he’s encouraged by the good reputation Retaj Hotels had in hotel management and hopes it will be the start of long business cooperation. Retaj Hotels are expanding in a big way in the Middle East region. Let’s have a look at a few of the locations where Retaj Hotels are creating a mark for themselves in the hospitality industry. As you might expect, this fabulous hotel chain has a total of 6 hotel properties in Qatar, exclusively located within rich and fascinating neighbourhoods in Doha. 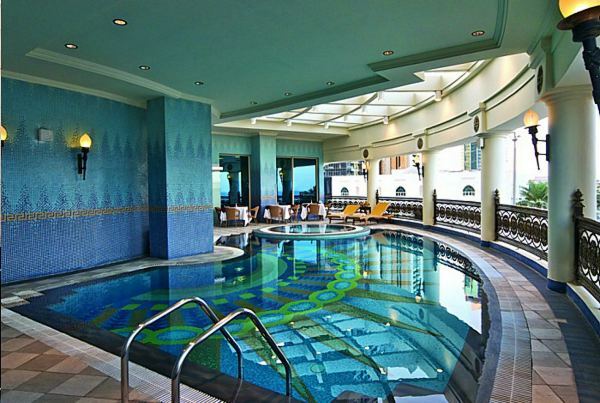 The Retaj Al Rayyan: This 4-star Doha Islamic hotel is located in the bustling Al Dafna CBD. It rises a dizzying 19 stories and hosts 360 en-suite, large rooms that vary in both size and pricing. The hotel is unexpectedly laid-back with breathtaking views of the turquoise Arabian waters. Each of its well-lit rooms boasts free internet connectivity, large flat-screen TVs, and tea/coffee makers. It also has an indoor pool, gym, sauna, and health spa. Best thing: 24/7 room service. Retaj Royale: Doha’s jewel, Retaj Royale oozes off a blend of Arabian opulent lifestyle and modern hospitality. This 5-star hotel situated on Corniche Street features 108 fully-equipped rooms on a 15-story building. Additionally, you can enjoy spa time, indoor pool, and tantalizing delicacies in one of its four top-notch restaurants. Retaj Residence Al Corniche: as suggested by its name, this 78-room hotel is located near Corniche in Sharq. Retaj Residence Al Sadd is an apartment-style hotel complex that comprises 53 world-class lodging units. Others include Retaj Inn, which includes 12 floors of 80 accommodation units in Downtown Doha; and Retaj Inn Marina that stands in Pearl-Qatar Island – it features 250 units and 2 large outdoor pools. Turkey: Retaj Hotels boasts 2 world-class hotel properties in Turkey, one in Termal and another in Istanbul. Comoros Island: Retaj Hotels owns and operates Retaj Moroni Sports and Leisure Resort. Saudi Arabia: The hotel chain also owns the 4-star Retaj Al Rayyan Mecca. Retaj Hotels have strong ambitions to venture into other areas of the Middle East and even out of the Gulf Region. With Word Expo 2020 in Dubai and the World cup to happen in Doha, the farsightedness of the hospitality group looks realistic. As per the media reports, Dr. Al Mohammad said there are plans to expand the investments in, around and outside of Qatar, especially in the hospitality industry. The group’s mission and vision will focus on investments in the tourism and family hospitality sector that take into considerations the particulars of the Arab and Islamic societies and the Gulf society. Al Mohammad said the deal comes together due to the various plans, policies and visions the Retaj Board of Directors came up with and attained various investments in both domestic and international markets in Saudi Arabia, Comoros Islands, Turkey and Sudan. It wants to increase investments after the feasibility studies have been completed that aligns with the company’s future vision. We are sure to see a much bigger hotel group in the form of Retaj Hotels in future. And, we wish them every success. Global Hospitality Portal Copyright © 2019. Enter the OTP which has been send to your e-mail.